Msambweni meaning 'the land of sable antelope' is set in a quiet, unique setting on a stretch of completely unspoilt sandy beach surrounded by 28 acres of natural land. The property offers peace and tranquillity, where guests can really be at one with nature while enjoying a luxurious stay with attentive service in beautiful surroundings. The Msambweni Main House has a large living and dining room and a large terrace with open verandah. There are three air-conditioned rooms with mini bar, satellite TV and DVD player. 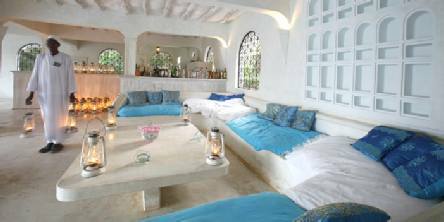 Also available are The Msambweni Luxury Ocean Suite and three private seaview villas. Leisure facilities include an infinity pool with sun lounging area, beach volleyball, croquet, badminton, 18-hole golf course nearby, visits to local village, walks through the jungle and tropical rainforest. Water sports available at the hotel are snorkelling and fishing using a local boat. Other water sports are available nearby. 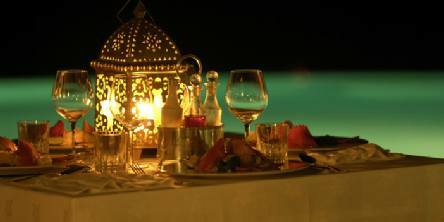 Breakfast, lunch, dinner, mineral water, soft drinks, tea, beer, house wines and non-luxury spirits included. Offers alfresco dining and a bar. 2019 package holidays to the Msambweni Beach House, Mombasa Prices are per person based on two sharing, including flights, transfers and accommodation, and are subject to availability. Flights from Heathrow - other departures also available, call for details. Holiday ref: S0517W.